After 25 years of taking countless phone calls on my radio show, I’ve heard thousands of stories about heartbreak due to relationship failures. What is so often lacking in all these relationships is a foundation of trust. And without trust people have no sense of security and can never rest secure in their relationship. So let’s look at some key factors needed to build trust before a relationship even begins. Passion wrote:I’ve been dating this guy for 5 months and i found out he gave his number to another girl, I dont even see him the same as i used to, i look at him and wonder if everything is a lie. HARD TRUTH: No relationship is going to succeed or survive without a strong foundation of trust. Start by simply avoiding relationships with people you already know are untrustworthy. That might quickly eliminate a few possibilities. Look for someone who will talk to you about common interests, as well as personal stuff like like faith, values, and what you want to do with you lives. You can’t always go on what people say, but talking about those things gives you a momentary glimpses of what is really inside that person. What if they don’t want to talk about that kind of stuff? It’s not a deal breaker, but unwillingness to let you see inside makes you wonder what’s really in there. Observe what they do and how they act under pressure. That’s when our real selves begin to show. Set your standard high and look for a BF/GF who wants to know you, be with you, love you for who you are not for access to your body, not to hitch a ride on your popularity, and not for something he/she wants to turn you into. Before jumping in with both feet, be sure they Love you for who you are, just as you are, right now. Insecurity is another big issue holding relationships back…have you ever worried your BF/GF was going to leave you? 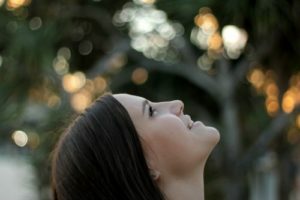 How do I get past the thought that my BF/GF will leave me? Fear of abandonment is very common, especially if you have finally met someone who you really like, or if have been abandoned in the past. It’s natural to want to hold onto things that mean the most to us. But still, we are never given permission to own or control another person. This means other people are always free to do whatever they want, even if it means leaving the relationship. There’s a fine line between wanting to have someone in your life, and wanting to possess them. Many people don’t have enough belief or confidence in themselves to ever imagine being alone. This can cause a person to hold on too tightly. Loyalty is one thing–fear of being alone is another. Most people do not want to be in a relationship with someone who is extremely insecure, negative and clingy. To get past the fear of being left, you need to get to the place where being alone is not the worst thing that could ever happen to you. This will take time, but it’s worth the effort. Spend some time trying to figure out what kinds of things you enjoy. What kinds of things make you feel really alive? As you get to know yourself, you will have more of your complete self to bring to a relationship. It also helps to know that you will never truly be alone…even if your BF/GF leaves you. God promises us in the Bible that He will never abandoned us and will always love us because we belong to him…we are his children. If you believe this, you will find such confidence and comfort because you know you are never truly alone. So if you are in a good relationship, thank God for everyday you have with your BF/GF. You have today, tomorrow will take care of itself. And God will always be there. For more on how to heal emotionally and move forward after cheating in your relationship, download TheHopeLine’s free eBook. What word came to mind? As a man, I know these are the types of words that pop into my head. This idea that we need to be a “man’s man” and all that. But I know I’ve hit lows in my life where I didn’t feel so strong or brave. Where I thought I should be able to hold it together, but truthfully I needed help. Even admitting that is tough for me. Am I being too vulnerable? Will I be seen as weak? Our culture seems to send a message to men…don’t reveal too much…don’t “give in” to any discomfort you may be feeling. I think it is very common for men to feel weak at times, but we try our best to hide it. 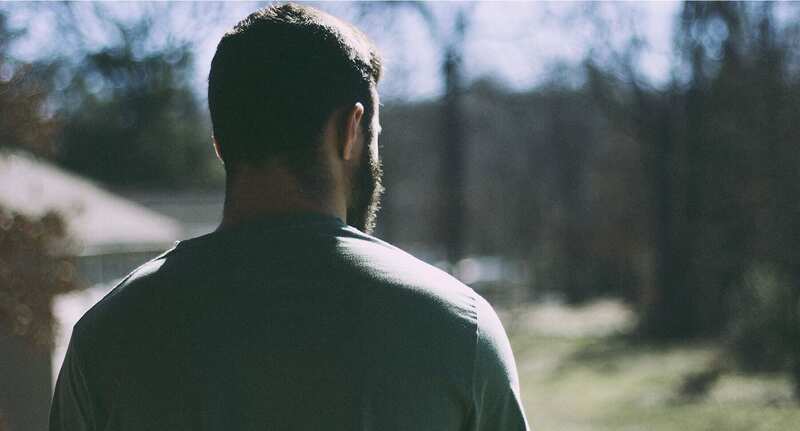 Many men struggle with depression or anxiety…they don’t feel strong or like they can do it on their own any longer? I know this because I’ve talked to some of the bravest of these men…the ones that struggle with these things, but had enough courage to call me on my radio show to ask for help. One young man faced this battle and finally decided to reach out to TheHopeLine for help. After he talked with a HopeCoach, he shared the following story. Have you ever felt Ashamed? My life began to feel so heavy and dark inside. I knew it was outside input from the enemy but eventually, I just started to believe the lie. I was a worthless father, husband, and provider for my family. My new job hadn’t panned out the way I thought it would and left my family of six with a $500 a month pay cut. Over the course of 6 months, we had fallen behind on rent, other bills and it just started to tailspin. Every day at work, I would contemplate and try to just build up the courage to walk out onto the highway in front of a semi. Too proud to ask for help, too much of a coward to take the easy way out. A real man isn’t supposed to get depressed. A real man is supposed to get angry. A real man isn’t supposed to have anxiety and panic attacks. A real man is supposed to fight through anxiety and panic attacks and stop being such a you-know-what…. You feel you’re supposed to be strong, courageous, self-sufficient, etc. In reality, you are depressed and questioning your purpose? Struggling to get out of bed. Feeling debilitated. You don’t tell anyone because you believe you are supposed to be strong enough to conquer this on your own and you don’t want others to see you as weak. The depression causes you to have suicidal thoughts, but you don’t dare reach out for help. You’re a Man. You’re also human. 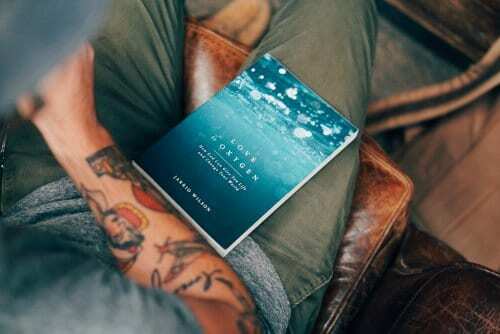 You are a man, but you are also a human made to experience all kinds of emotions. If you are struggling with life, feeling you don’t measure up, struggling with depression or thoughts of suicide, worrying you are not financially stable enough…those are not things that make you weak they are emotions that make you human. 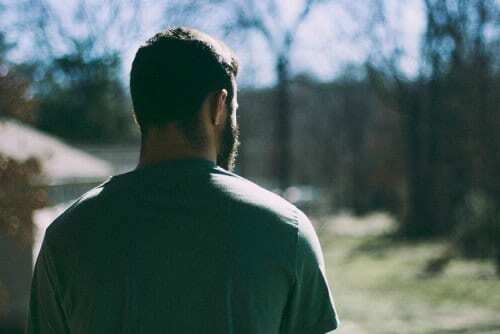 It is possible to be both masculine and depressed. By acknowledging this and then finding the courage to share what you are feeling with another person is how you will find help and healing. In our society, for the most part, men are emotionally isolated from other men. I don’t know of many platforms where men can be vulnerable with one another. But I think it would be a move in the right direction to start these conversations and create safe groups for men to talk. It can start with you being willing to share a struggle with a friend. You may discover they have felt the same way. If you don’t have a friend you feel you can talk to, please don’t hesitate to reach out to TheHopeLine Chat for help. Our HopeCoaches will never judge you. Rather they will encourage you and provide you with resources that can help. You do NOT have to do this alone. Sometimes the biggest sign of strength is having the courage to say you need help. Unfortunately, there have been a number of tragic suicides recently of rock stars and other famous men whose public persona appears strong and masculine. Yet behind this public image they must have struggled with some difficult private battles. Thankfully, mainstream media is also working to spread the message of hope. The rapper, Logic, has a song titled, 1-800-273-8255 which is the phone number to the National Suicide Prevention LifeLine. You got everything to give right now. If you have questions about this, please chat with a HopeCoach. If you or a friend is struggling – What Now? Remember that you are not alone in what you are feeling. If you are outside of the US, please visit infohttps://www.iasp.info/resources/Crisis_Centres/ to find resources in your area. 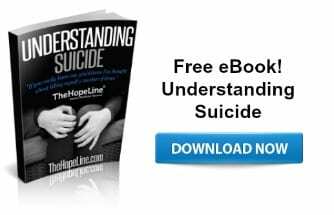 If you are having suicidal thoughts or if you know someone who is considering suicide, find out what to do in TheHopeLine’s eBook: Understanding Suicide.